The Sandman is a comic book series written by Neil Gaiman and published by DC Comics. 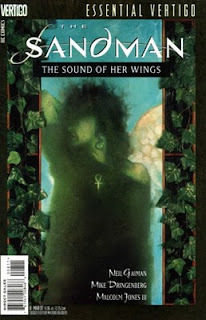 Beginning with issue #47, it was placed under the imprint Vertigo. It chronicles the adventures of Dream of The Endless, who rules over the world of dreams, in 75 issues. It was published from 1989 until 1996. Gaiman's contract stipulated that the series would end when he left it. 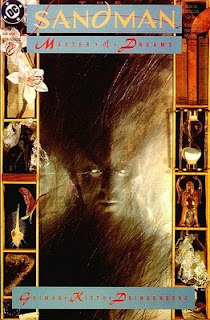 The Sandman's main character is Dream, the Lord of Dreams, who is essentially the anthropomorphic personification of dreams. The storylines primarily take place in the Dreaming, Morpheus's realm, and the waking world, with occasional visits to other domains, such as Hell, Faerie, Asgard, and the domains of the other Endless. 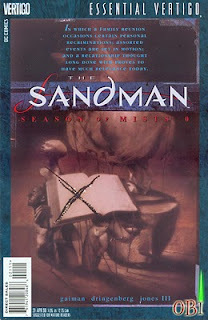 The Sandman was initially published as a monthly serial, in 32-page comic books (with some exceptions to this pattern). As the series quickly increased in popularity, DC Comics began to reprint them in hardcover and paperback editions, each representing either a complete novel or a collection of related short stories. 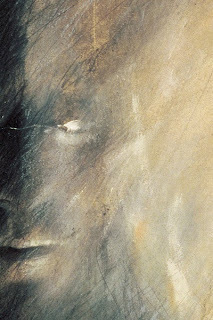 DC first published "The Doll's House" storyline in a collection called simply The Sandman. Shortly thereafter, the first three volumes were published and named independently and also collected in an eponymous boxed set. The issues in the collection first appeared in 1990 and 1991. 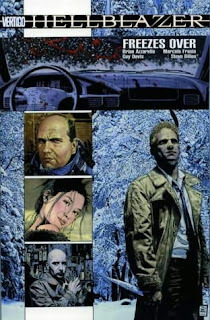 The collection first appeared in paperback and hardback in 1992. The title is the opening phrase of John Keats' "Ode to Autumn". It introduces Endless siblings Destiny and Delirium, and features Thor, Odin and Loki from Norse mythology; Anubis and Bast from Egyptian mythology; Susanoo-no-mikoto from Japanese mythology; Lucifer and the Angels Duma and Remiel from Christianity; Shivering Jemmy, a Lord of Chaos with the body of a child and the mind of a monster; Kilderkin, a Lord of Order who takes the form of a cardboard box, and the fairies Cluracan and Nuala, who will play important roles in later stories. Season of Mists marks the introduction of the Norse gods for the first time in the series. Season of Mists is the first appearance of one of the central themes of the series, that of rules and responsibilities and whether we can lay them down. The gathering of the Endless family which opens the book makes the second reference to the "prodigal", an Endless sibling who abandoned his realm and responsibilities. 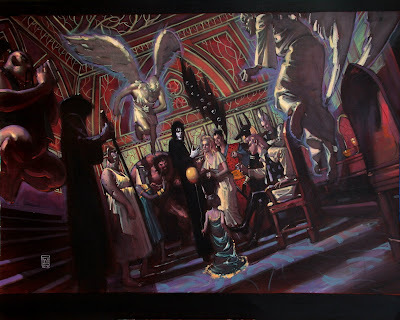 The family gathering leads to Dream deciding that he must return to the underworld to right a wrong he committed, an event which triggers a major plot arc throughout the series. 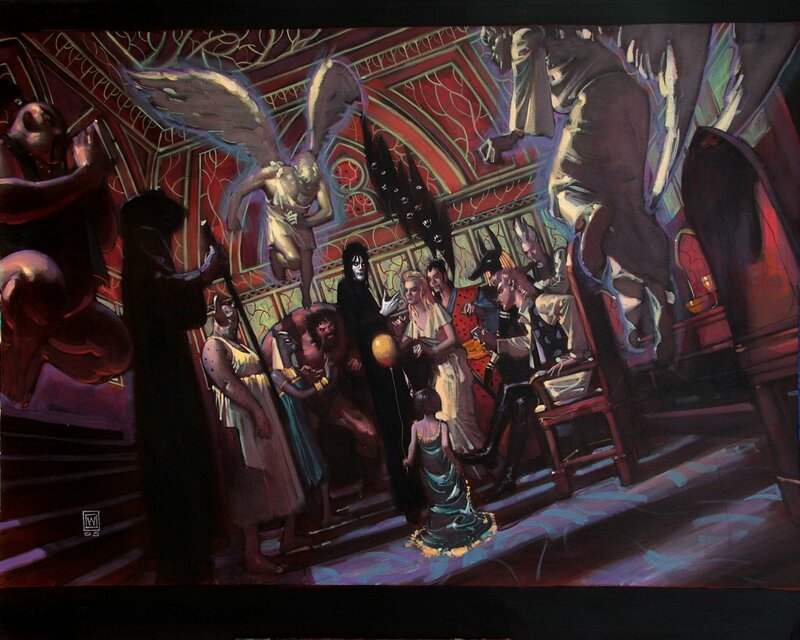 Morpheus leaves his realm to travel to the underworld, where he imprisoned his former lover Nada, to release her. Having previously departed the realm with it very angry with him (in the first collection, Preludes and Nocturnes), Morpheus is apprehensive about the task. He sets about it, wanting to do what is right, but prepared for a confrontation which he knows he may lose. Vertigo is an imprint of the American comic-book publisher DC Comics. Its books are marketed to a late-teen and adult audience, and may contain graphic violence, substance abuse, frank (but not explicit) depictions of sexuality, profanity, and controversial subjects. Although many of its releases are in the horror and fantasy genres, it also publishes works dealing with crime, social satire, speculative fiction, and biography. Each issue's cover carries the advisory label "Suggested for mature readers" (regardless of a specific issue's content). As of 2010, Karen Berger is the executive editor of the imprint, and has overseen it since its inception in 1993. 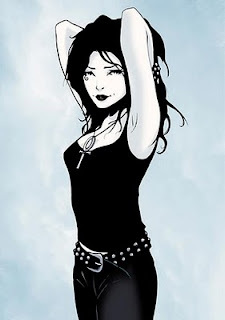 Vertigo comics series have won the comics industry's Eisner Award, including the Best Continuing Series of various years (Sandman, Preacher, 100 Bullets and Fables). 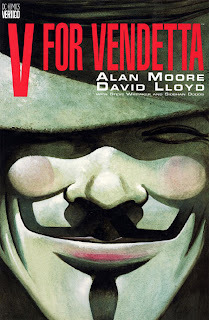 Several of its publications have been adapted to film, including Hellblazer, A History of Violence, Stardust, and V for Vendetta. "I'm not blessed, or merciful. I'm just me. I've got a job to do, and I do it. Listen: even as we're talking, I'm there for old and young, innocent and guilty, those who die together and those who die alone. I'm in cars and boats and planes; in hospitals and forests and abbatoirs. For some folks death is a release, and for others death is an abomination, a terrible thing. But in the end, I'm there for all of them." Death, talking about herself, in Dream Country.